Moving services, storage services ads in Australia. Thank you for visiting our free advertising website Moving services, storage services, Australia section. We provide high response free classifieds and free advertisement. Use our online free Moving services, storage services classifieds placement system to find, list, offer Moving services, storage services online! Are you looking for cost-effective shipping container hire services in Brisbane Gold Coast? Gold Star Container can offer a variety of storage containers to suit your personal and business needs on the Gold Coast. Here at Gold Star Container on the Gold Coast we have a large storage facility whether you in between moving need extra storage we can help. One of the more strenuous tasks that you can ever take upon yourself is moving houses. From arranging the paperwork, scraping every last thing from your former dwellings to donating the things you are no longer in need of, moving houses indeed throws up quite a few challenges. But fret no more. With Sydney Domain Furniture Removals, one of the best furniture removalists in Sydney, you can rest assured knowing that your needs will all be taken care of rewarding you with a seamless move. Professional South Australian based Self Storage Facility offering safe, clean and secure storage units for business, commercial and personal use. 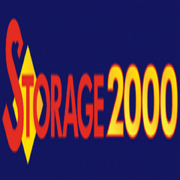 Website: https://www.storage2000.com.au/ Phone: 08 8348 2567 Email: lockup@storage2000.com.au Address: 334 South Road Croydon Park SA 5008 Australia. Does the thought of lugging your furniture all the way to your new home give you the jitters? Is this the reason that you are putting off moving out for the forseeable future? Fret not, Sydney Domain Furniture Removals have got you covered. Considered amongst the most affordable furniture removalists that the country has to offer, the expert team of professionals see to it that all your precious items of furniture are subjected to the utmost care and that they are transported to your desired location without so much as a scratch. Professional Movers Sunshine Coast - Tim's Removals. Tim's Removals is a professional movers at Sunshine Coast, Queensland in Australia. Having well trained staff members who take care of all the important storage, packing and relocation tips before moving. Removalist Sunshine Coast provides extra care and attention to your belongings throughout the relocation process. If you have a move coming up in the immediate future, you better start preparing as soon as is possible. From arranging the paperwork, surveying the new locality to actually moving all your essentials and belongings to the other neighbourhood, it takes a lot of effort. With Sydney Domain Furniture Removals, one of the renownded sydney furniture removalists offering their expert assistance, you can rest assured that your move would be carried out in a trouble free manner and all your important, delicate and fragile pieces of furniture relocated securely. At Bill Removalists Sydney, we are serious about the work that we do. From moving across the country to fairly simple Mosman furniture removals, our expert team is here for you with our precision service. Each of our Mosman removalists truly care about your needs and work hard to deliver the results that you deserve. Are you moving home or office? and looking for time & money saving furniture removals company near you!​ Gold Star Removals has a right solution for you. Serving Gold Coast and nearby area since 2005. It provides: -Expert Removalist team which saves time & money -Safe Transportation -Custom size of storage containers -Friendly furniture removalists team -Top-quality boxes -Full packing service The trained packing team to ensure every care is taken during packing, loading and transit. CBD Movers have the team of skilled furniture removalists in Carlton. They have skills in assembling and disassembling the furniture and then loading it carefully. If you are seeking such movers then call at 1300223668 or visit https://www.cbdmovers.com.au/cheap-movers-melbourne/movers-in-carlton/.. Whenever you plan to move your house to a new location then lots of planning is needed along with the skills. CBD Movers are known to be best Cheap Removalists in Reservoir for a decade now. If you want, you can avail their services by calling at 1300223668.. Experienced Removals Sunshine Coast - Tim's Removals. Tim's Removals is a highly experienced Removalist in Sunshine Coast Queensland. They provide relocation, storage and packing services for Australian families or businesses across the city as well as across the country. Client satisfaction is the primary factor for removals Sunshine Coast, so no need to worry about relocation at removals Sunshine Coast Queensland. A1 Attics specialises in creating storage solutions in your roof space, we have storage packages to suit all budgets from ladders only to fully sealed dust proof rooms. Owned and operated by Andrew Hishon who has over 15 years experience in the residential construction industry. All quotes and work are carried out by Andrew himself so you can rest easy knowing your attic is in good hands. If you are looking for movers in Melbourne or Canberra then Dawson Moving & Storage is the right choice for you. Visit now or Call Dawson Moving & Storage directly in Melbourne on 03 9763 0222 or Canberra on 02 6260 1214. https://www.dawsonmoving.com.au/ Telephone: 03 9763 0222 Address: 915 Stud Rd, Rowville VIC 3178, Australia anne@dawsonmoving. Moving could be stated as demanding task as it demands your precious time and effort to plan and execute the whole process. In this case, most of you decide to avail services of cheap removalists in Mulgrave like CBD Movers. If you want same then give a call at 1300223668 or visit https://www.cbdmovers. First of the things to keep in mind when moving into a new place is to find the best removalists. During the course of your move, it will be necessary to life and haul a number of heavy items. Not only is this process a strenuous one, but there is also the chance that something could be dropped and damaged. Reliable Removalist Sunshine Coast Queensland. Tim's Removals offers one of the best Relocation , Storage & Packing Services at Removalist Sunshine Coast Queensland in Australia. Sunshine Coast Removals have excellent professionals who take care of your belongings from starting to ending relocation process like their owns. So, No need to waste your time and money during relocation or shifting from one place to another within Australian city. A leading name amongst racking and shelving suppliers is Dickman Pallet Racking & Shelving. This company offers a range of high quality products and services and ensures that everything is installed in a proper manner. You can check the gallery of this company to pick the products that will fit your needs. Get in touch with Abbey Pallets if you are looking for professional pallet repairs. This is a leading company that offers a variety of pallets for various needs and also ensures their proper maintenance. The professionals of this frim repair pallets to ensure that problems do not occur again for a long time. Furniture Removals Lismore, from packing to picking up, moving and storage, we do it all! Hire A Mover, trusted brand name removals company. Residential movers & office relocation in Lismore and interstate. Low rates & professional service. Call us for all your moving needs; furniture removals, packing and storage. Looking for professional house removals in Sydney? Unbeatable Removals is an experienced removalists provides House or home removals service in Sydney. 24/7 Customer Support Available! Call us at 0416962100 for more details! 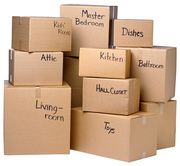 Visit Here:-http://www.unbeatableremovals.com.au/unbeatable-house-removal-sydney/. Whenever you plan to relocate your house then you must chose the removalists company in Perth wisely. There are many companies like CBD Movers Perth that provide quality moving services. If you want to know more about this then give a call at 1300223668 or visit http://www.cbdmoversperth.com.au/removal-companies-perth. It is important that when it comes to the transport of your personal belongings, we understand that these items hold much more than financial value. These items have emotional meaning in your life, and we know that, if damaged, you lose more than insurance will be able to cover. When you count on Removalists Sydney To Albury to move things such as furniture and appliances, you will have peace-of-mind in knowing that we will provide low, affordable prices for removal within Albury areas as well as for long distance moves, prompt and courteous service, half hourly rates which will ultimately save you money, availability of multiple trucks, no hidden charges, well-trained team of movers that will, on the day of the move, show up on time with uniformed Bill Removalists Sydney apparel, diverse fleet of vehicles meaning last minute jobs are no problem, dry felt padding to protect your goods, Interstate Removal Services. If you have decided to shift to a new city and are looking for expert movers Perth then CBD Movers Perth is the best option to go with. 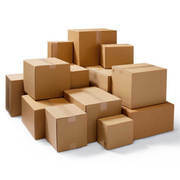 They will provide you all kinds of packing and moving services via 1300223668 or visit http://cbdmoversperth.com.au/. You can book a suitable time slot with them.. Looking for Furniture Removalists Melbourne? Prestige Movers offers you budget furniture removals & moving services in Melbourne & interstate..
Trust removalists Coffs Harbour from start to finish. With so much going on, you likely don’t have the time it takes to properly secure your items to prepare them for the upcoming move. A lot can go wrong on the road as you transport such a large load, and you owe it to yourself to invest in the security of such important property. Tims Removals - We are one of the most established and trusted removals company in Sunshine Coast. Our trained staff will take all the stress out of moving house, flat or office and ensure your move is as hassle-free and safe as possible. We can offer a full removals service including packing, storage and delivery, or if your needs are simple, a man and van services. GoldStarContainers Offers the best Transport containers hire Gold Coast, NSW. 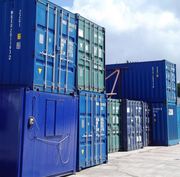 Transports containers for individuals Containers for business to business applications. It offers you any size of the storage containers to use at your convenience. Give a call at 07 5598 1400 Check more specifications and costing here >> https://www. 1st Skip provide mini skip hire services at affordable prices. We provide mini to large skip bin sizes according to your waste needs. Feel free to call us at 0401 209 714 any inquiry. Contact Us:- Company name:- 1st Skip Business Mail id:- info@1stskip.com.au Address:- 30A Gipps Street City:- Smithfield County:- New South Wales Post code:- 2164 Country:- Australia Phone:- 0401 209 714 Visit Here:-http://1stskip. Australia free ads for Moving services, storage services, Australia, Moving services, storage services free ads Australia, Moving services, storage services for sale Australia, Moving services, storage services to buy in Australia. Find on this page free classifieds for Moving services, storage services in Australia. This listing includes classifieds for sale and to buy in Australia. FREEADSAustralia Australia offers you a platform to post free advertisements or classifieds for Moving services, storage services in Australia. FREEADSAustralia helps you search, find buy, sell, rent or hire in various categories like apartments, goods for sale, local services, cars , jobs and many more in Australia. If you posted an advertisement in category Moving services, storage services of FREEADSAustralia Australia before please use Edit my ads button to change or cancel your ad. Moving services, storage services Australia ads Australia, Moving services, storage services classifieds Australia, Moving services, storage services free ads Australia, ads for sale Australia, ads to buy Australia, FREEADSAustralia Page number 3-1. Find here ads for sale, to buy and rent in Australia. Goods for sale in Australia, vehicles for sale in Australia, Australia real estate for sale, Australia property for sale, property for rent in Australia, business ads in Australia, Australia business classifieds, services in Australia, Australia services ads, jobs in Australia, pets for sale in Australia, Australia dating, Australia cars for sale.